Dr. Kathy Gruver, author of The Alternative Medicine Cabinet, recently finished her PhD in Natural Health, earning Highest Honors. Kathy was thrilled to be a special guest on Lifetime Television’s award-winning morning show, The Balancing Act, which can be viewed on her website, The Alternative Medicine Cabinet. Step 1. Repetition. Use a word, phrase, or concentrate on your breath. For example, on the inhale, think the words I am, and on the exhale think pure health. Then repeat. This gives you something to concentrate on and relaxes the body. Some people like to count to 10 on the exhales, one number per breath. Others repeat a chant or spiritual phrase. Do whatever works for you! Step 2: If thoughts come through, acknowledge them without judgment and go back to your repeated word or phrase. Soon you’ll find fewer intrusions. Try it, even for a few moments. 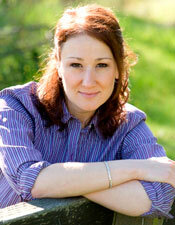 Editor’s Note: Kathy Gruver currently has a medical massage and alternative health practice in Santa Barbara. This entry was posted in Featured Members and tagged Kathy Gruver on August 31, 2011 by awc sb. I have been doing meditation for years and started this way. It’s a great way to start a meditation practice and improves your health, thanks Kathy !